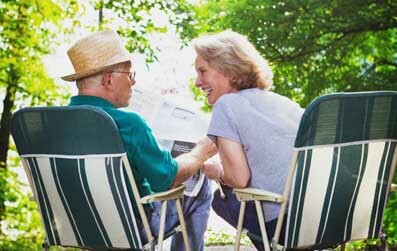 We are a licensed non-medical in-home services agency serving residents of Illinois and Iowa. We promise that you will rest better knowing that Mom & Dad are Safe and Happy in their Own Home! "We are very satisfied with the kindness and professionalism of the owner of Caregivers Today, L.L.C. Her understanding and knowledge is most appreciated. Our two caregivers are super...very kind and gentle with our mother...Be assured this agency, Caregivers Today, L.L.C., will fill your needs, whatever they may be." This agency is a member of Companion Connection Senior Care, Inc. a national membership organization of non-medical home care agencies. All members have access to recognized experts in the field of home care, as well as the most current educational resources, which enable them to provide the highest level of care to their customers. Caregivers Today, LLC provides non-medical companion/ homemaker services to seniors, those recovering from surgery and others. Options include 24 hour live-in care or hourly care. Caregivers Today, LLC is a locally owned and operated business, located in Illinois and servicing both Illinois and Iowa in Scott and Rock Island counties. Call today for a free, confidential, in-home assessment. At Caregivers Today, L.L.C. we understand that you can't afford to make a bad decision about who you hire to provide valuable care for yourself or your loved ones, especially if you live miles away from them. We do everything we can to be certain that choosing our company is one of the best decisions you will ever make. We offer a caregiver/companion best suited for your needs and a personalized plan of care. We offer extensive communication between families, caregivers and this office so that unnecessary mistakes are avoided. We offer freedom so that you have the ability to be the "kid" instead of a caregiver! © 2008 Caregivers Today LLC. All Rights Reserved.